NOTE: You need to have a b-series motor with a vtec head for this kit to work. 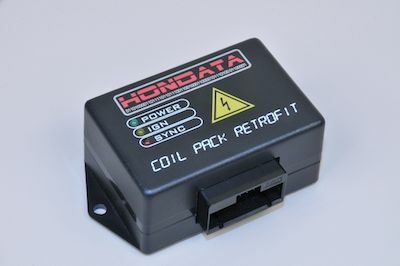 The Hondata Coil Pack Retrofit (CPR) allows the use of 'coil on plug' individual ignition coils on engines with distributor based ignition systems (D, B, F and H series Honda engines). 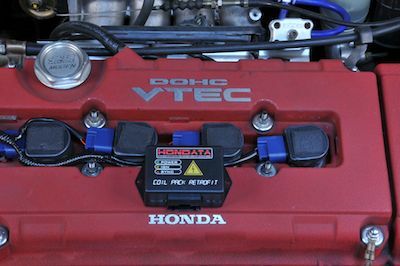 It does this by replacing the stock coil and ignition with an electronic circuit which can drive igniter type individual ignition coils, such as used on later model Honda engines. 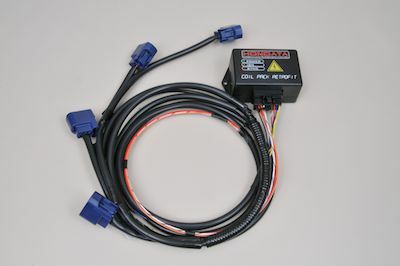 A Hondata S300system and US OBDI ECU are required. How much does the Hondata CPR cost?